In 2016 it will be 20 years since the first European Works Councils (EWC) directive came into force in the EU. In the same year, the European Commission is planning an evaluation of the EWC recast directive that will undoubtedly lead to debate on the need for further review of European regulation of EWCs. The year 2015 also marks the fifteenth anniversary of adoption of the EU directive on workers’ involvement in the European Company (SE). 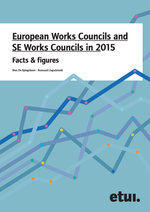 This publication provides a broad selection of key figures on the basic characteristics of EWCs and SE WCs and the companies in which they operate. It covers both the demographics (e.g. development over years, establishment, sectoral distribution, etc.) as well as selected aspects of content analysis of agreements (composition, competences, meetings, facilities and resources). The book provides food for thought about the importance of this European institution, its potential effects on the Europeanisation of industrial relations, and its future development. 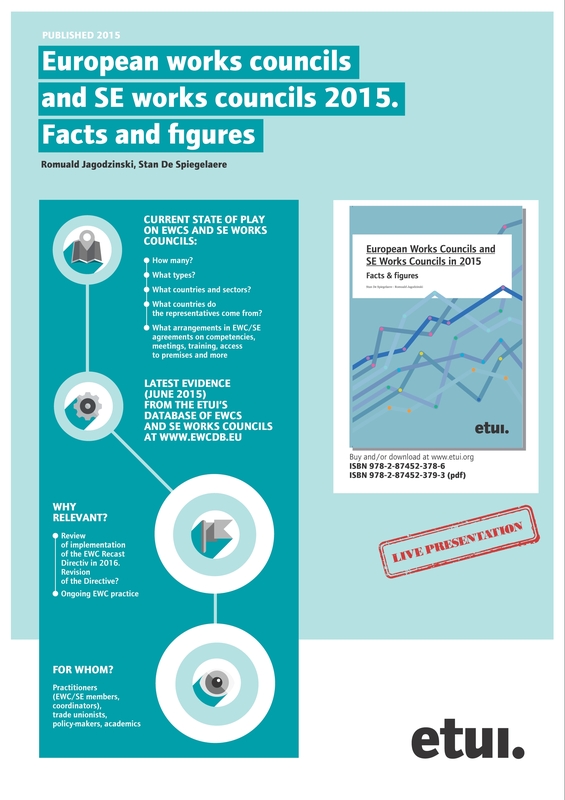 The statistical data provide insight for practitioners (works council members, trade union coordinators, experts, trainers) and stakeholders into the distinctive features and characteristics of EWCs and SE WCs.